Doctor Neha: Hi, welcome everybody. Today I have a special guest, Jeremiah. He is a brave soul willing to ask his questions so that all of you can learn. So Jeremiah, what are you thinking about? What question has been on your mind lately? Jeremiah: I’ve been thinking about my sister a lot because I haven’t seen her enough this summer, and I’d really love to see her a little more. 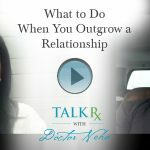 Doctor Neha: So what’s your relationship with your sister? Doctor Neha: Today I have a special guest, Blake. He’s someone I met a few years ago at a weekend retreat where we’re learning to be better speakers. Blake, I see that you’re in your vehicle. How are you doing? Blake: Self-driving cars are awesome, but I don’t have one so I’m sitting in a parking lot. 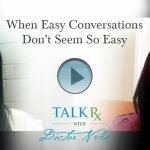 Doctor Neha: Well, thank you for being willing to ask your communication questions so other people can learn. Doctor Neha: Hi everybody. Today, we have a special guest. Her name is Ari, and she is a teen who is willing to ask her communication questions so that all of you can learn. Thanks for being so brave and awesome, Ari. Doctor Neha: What’s on your mind? I want you to speak up and kind of be bold. 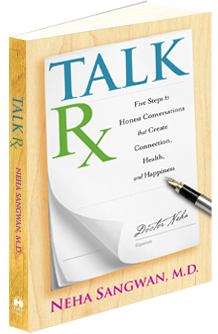 What’s the communication question you have? Doctor Neha: Welcome. This is Shaheen. I’ve known Shaheen for many years. She is a dermatologist, and I knew her when I lived in San Francisco. She is a brave soul who is willing to ask her communication questions so all of you could learn. So welcome, Shaheen. Doctor Neha: So tell me what’s been on your mind. What kind of communication question do you have? Shaheen: This is perfect timing because I’m about to have an important conversation with my colleague. Doctor Neha: Hi, everybody. Today I have a special guest. She is willing to ask her communication questions so that all of you can learn. So welcome, Julie. Julie: I’m happy to be here today. 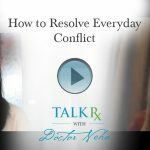 Doctor Neha: What are you thinking about these days? 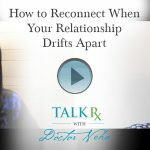 Doctor Neha: Blake is a brave soul who I met several years ago when he contacted me on social media and said, “By the way, I saw your video blog today and it really moved me. I just wanted to let you know that I felt so touched.” That’s how we ended up here. So, welcome, Blake. You said that a few years ago when we met at a speech conference, you knew of my work then, but that it impacted you more now. 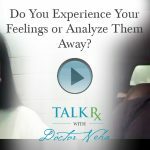 Continue Reading Do You Experience Your Feelings or Analyze Them Away? 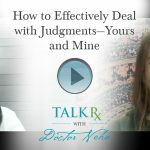 Doctor Neha: Today we have a special guest, Devon, who is willing to ask her questions so all of you can learn. So welcome, Devon. Devon: Good to see you. Doctor Neha: Same here. So what’s been on your mind? 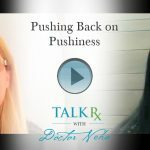 Devon: I’ve recently been told that in my community communication style comes across a little pushy and that people feel like I’m not really listening to them because I had an idea of what I thought was best for the situation and for the person. Doctor Neha: Hi and welcome. My guest today is Deanna. Welcome back, Deanna. 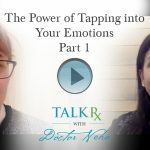 You had been asking about how to get from being in your head so much to being in your heart [The Power of Tapping Into Your Emotions, Part 1]. You had asked, how does one do that? So we had discussed that you do that through being playful. You do that through taking some risks and even though you don’t know how it’s going to turn out.